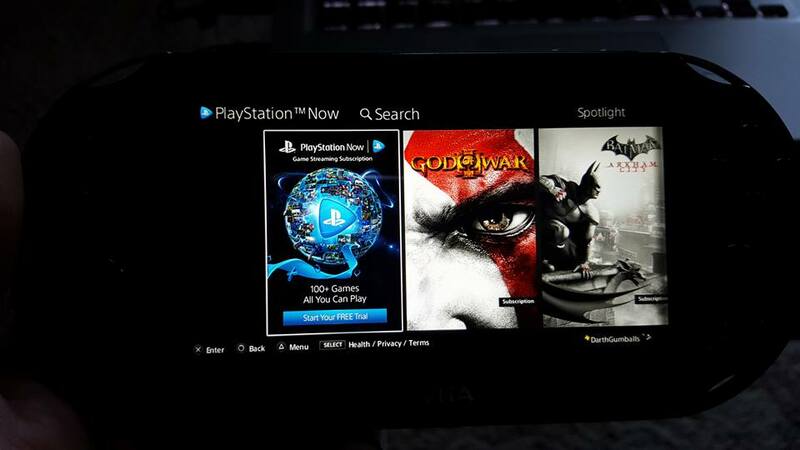 The Playstation Now subscription service finally arrived on the Playstation Vita and Playstation TV earlier this month. The PS Now app was previously available on these platforms, but users couldn’t sign up for the subscription model unless they did so on a PS4 first. You could rent individual games at excessively expensive rates, but the real draw of the service is the subscription model. For $19.99 a month PS Now subscribers get unlimited access to over 100 games, including hit titles such as The Last of Us, Batman Arkham City, Bioshock Infinite and God of War III. This all sounds great, however I had been having connection problems that prevented me from enjoying the service. My Vita would pass the connection test and launch into a game and would work flawlessly for anywhere between ten and fifteen minutes. At around the fifteen mark I would almost always get connected from the PS Now service. My Vita wasn’t losing connection to my WiFi, but the PS Now service would seem to time out. This constant loss of connection (which boots you out of the game and back into the PS Now menu) made the service unusable. The Playstation Vita can only use a 2.4GHz WiFi network, and my 2.4GHz network was much slower than my wired internet speed. Using the cable modem’s WiFi I would average around 12mbps whereas I get a solid 50gbps over ethernet. I tried another router (in the $40 price range) that offered dual band WiFi, and while the 5GHz network was much faster, I didn’t see any improvement on the 2.4GHz end, and PS Now was still unusable. I tried following any advice I could find online, such as deselecting the Vita’s WiFi power save mode but had no success. Frustrated, I decided to go big or go home. 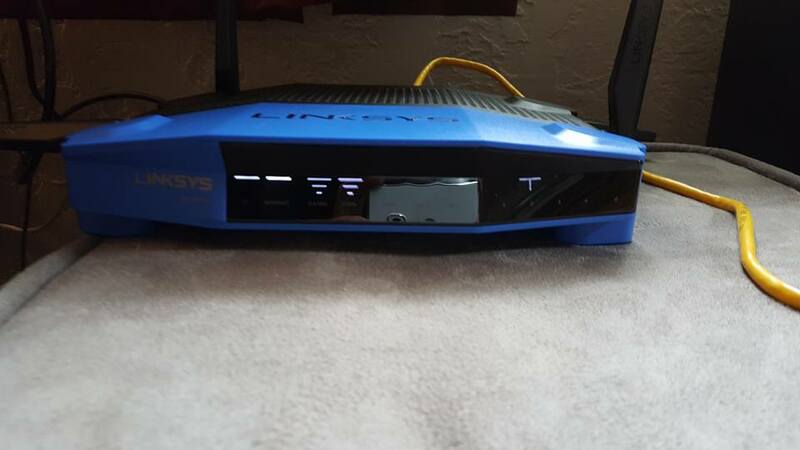 After being assured by the Best Buy salesman that the behemoth Linksys WRT 1900AC router would provide better speeds over 2.4GHz WiFi I took the plunge, and bought the most expensive router I’ve ever owned. 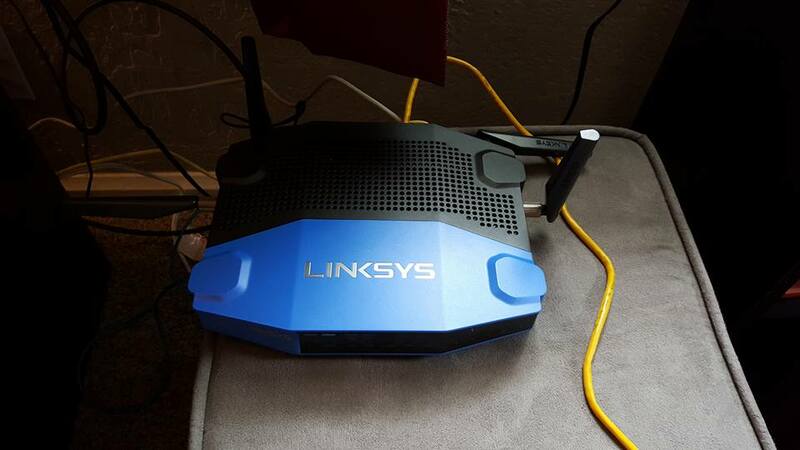 I unboxed the spaceship looking router yesterday evening and set it up hoping for the best. Once everything was set up I crossed my fingers and ran a speed test using the 2.4GHz network. To my delight, the speeds were double what I was getting using the Motorola modem. To further assure success I used the Media Prioritization feature to give my Vita bandwidth priority on my network. 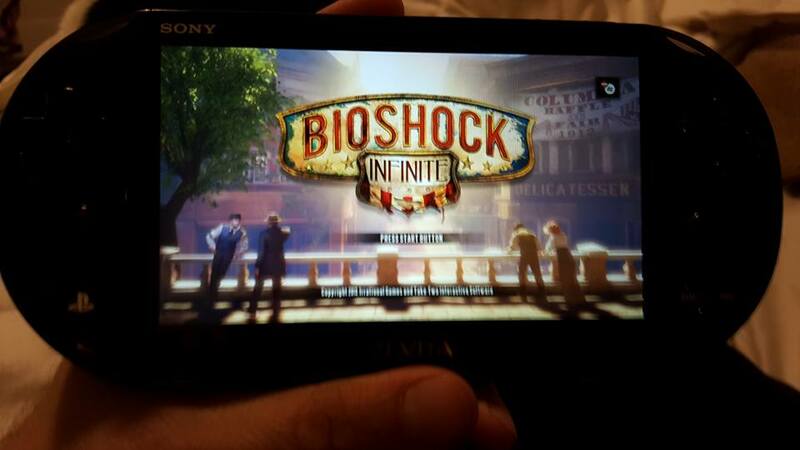 I then anxiously fired up PS Now on my Vita to see if it would finally work. 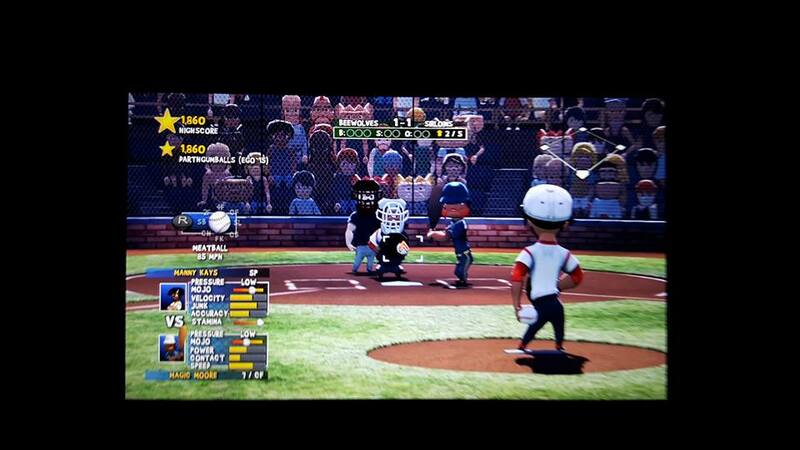 I fired up Super Mega Baseball and was able to play a game without getting disconnected. Success! I then booted up NBA 2K14 and let it sit on the menu and to my delight it also never dropped the connection. The $200+ investment may be a little much just to play around with PS Now on the Vita, especially when a used PS3 can be found for $100, but the beastly router has many other benefits. The 5GHz WiFi network is just about as fast as an Ethernet connection and the range is much improved over any router I’ve used before. 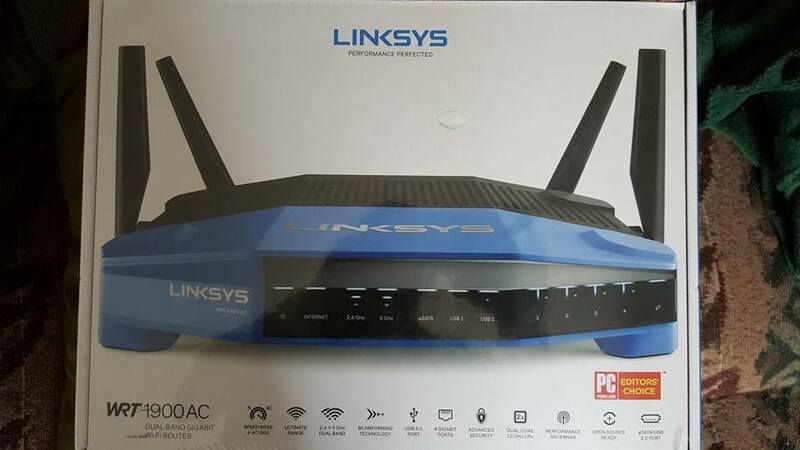 The router has plenty of features, most of which I don’t understand, but having more control over my network will be more beneficial in the long run. 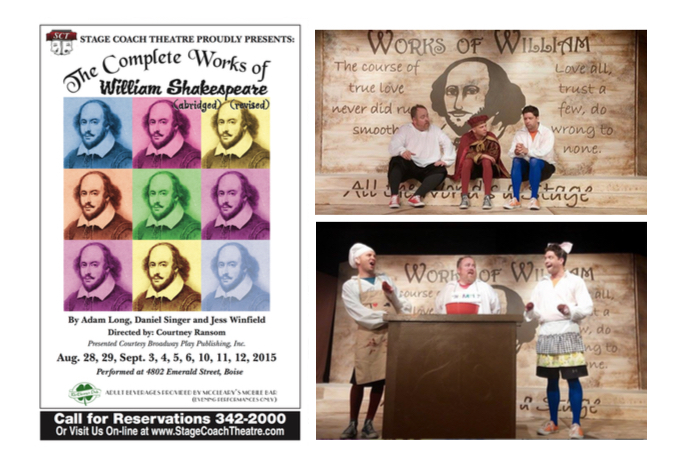 “The Complete Works of William Shakespeare (Abridged) [Revised]” is a hilarious play which succeeds at performing all 37 of Shakespeare’s plays in a mere 97 minutes. Of course, in order to do so the plays must be seriously abridged and the way in which this is accomplished is the cause of many laughs throughout. The play began its run at the Stage Coach Theatre in Boise on Friday and will run until September 12. We saw Saturday night’s performance and absolutely loved it. 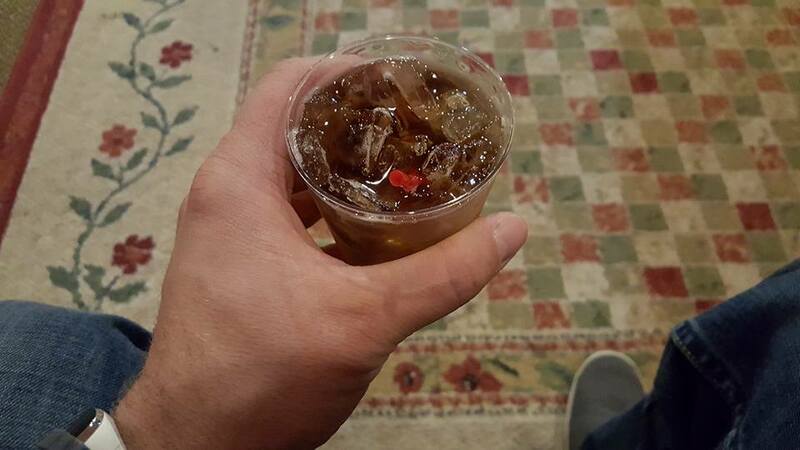 We started the evening off with some cocktails in the lobby while waiting for the play to begin. If Off-Broadway’s “Drunk Shakespeare” proved anything, it’s nothing goes together with Shakespeare quite like a few drinks. The Jack and Cokes were strong and as I sipped it I couldn’t help but take in the wonderful community that makes up the theatre’s audience. So many of those in the lobby seemed to know everyone else in attendance and lively greetings were exchanged between the frequent patrons. The atmosphere inside the theater was filled with a jolly air that increased as cocktails were consumed. 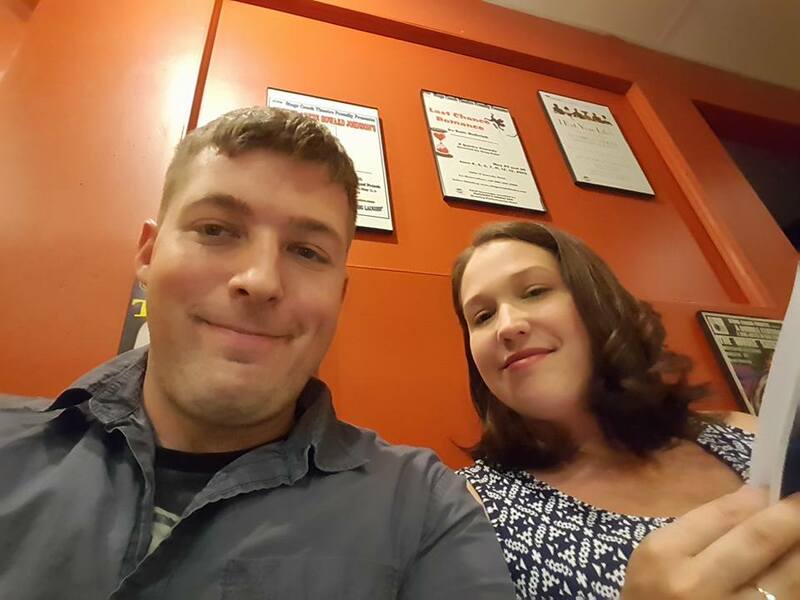 We took our seats in the small, cozy theater and waited for the show to begin. Once it did we never stopped laughing! All three actors were wonderful and played their parts well. They were enthusiastic, energetic and never missed a beat. 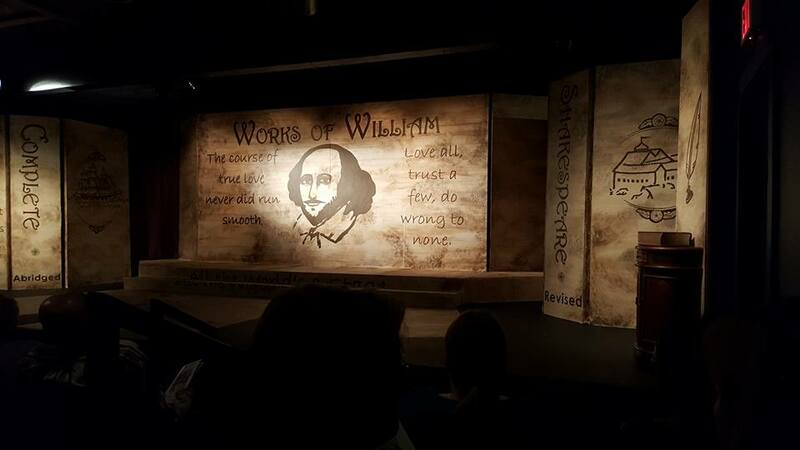 If you happen to find yourself in Boise at some point during the next few weeks I highly recommend attending the Stage Coach Theatre’s production of “The Complete Works of William Shakespeare (Abridged) [Revised].” It’s a blast! 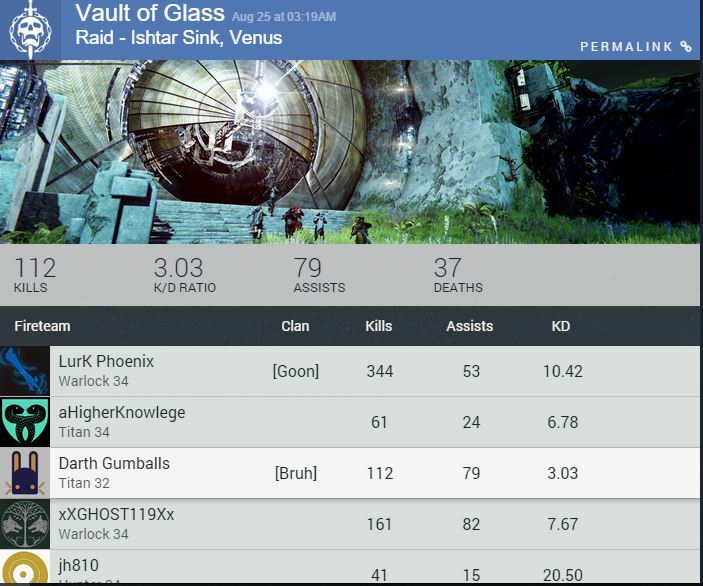 On Tuesday I ran Vault of Glass for the first time (on hard) and later that day decided to join another group to try it again. I know it’s absurd to spend so much time in one day playing a video game (I’m a little ashamed to admit) but I had so much fun working together with a group trying to conquer the raid. The second attempt didn’t quite go as well as the first, however I streamed the ordeal on Twitch as a guide on how to be a complete and utter noob in Vault of Glass. We made it to the end of the raid but could not conquer Atheon, and ultimately everyone had to go so we left the raid unfinished. Despite the failure, I had just as much fun playing with this second group of people. The Gorgon labyrinth section was especially fun because even as we repeatedly failed everyone was laughing, fooling around and having an all round great time. I’m glad I got to run Vault of Glass with such a great group of people, and am glad I captured it all (well minus all the conversation). Something above is not like the others. 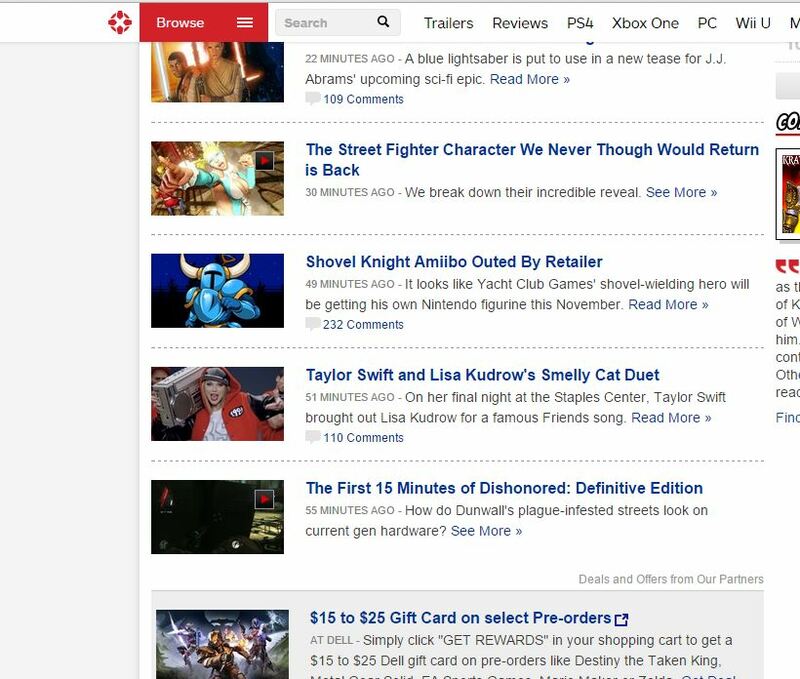 I, like many others, was baffled when I came across the headline “Taylor Swift and Lisa Kudrow’s Smelly Cat Duet” nestled alongside various gaming headlines. 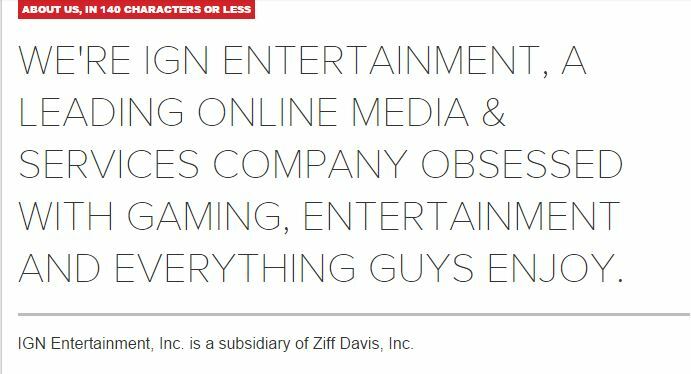 The article seems like a blurb you’d find on TMZ, or a morning news show, not a dedicated gaming website. I think they’re starting to miss their mark more and more lately. Beyond IGN’s lack of meaningful content, their community is excessively toxic as of late. It’s time to give up on IGN. I’ll stick with Kotaku and Giant Bomb for my gaming news, reviews and editorials from now on. Kotaku might not be much better at times, but at least they have the ever talented Patrick Klepek. Just two weeks ago I tried convincing myself I was done with Destiny, in the post ‘Why I’m reluctant to check out Destiny’s expansions.’ Shortly after making the post I caved and purchased the expansion pass for $34.99, determined to see what all the fuss was about. I never really got into Destiny before this moment. I purchased it once it was released but mostly played the game solo, and never really enjoyed it. Sure the shooting was rock solid and an absolute blast, but the story missions and strikes with random groups weren’t doing it for me. Over the last two weeks I decided to go ‘all in’ with Destiny. I started out by joining match-made strikes, which were still hit or miss. By that I mean there were times I was matched with players so terrible it made playing the game miserable. They would rush into enemies and die over and over again. They would attempt to stand directly underneath a boss and shoot up at it only to die. I’d resurrect them and they’d die again. In other strikes I would be matched up with someone AFK, or someone trying so hard not to die that they’d fail to contribute to boss fights at all. Even worse I’d be in the middle of a strike and one of the other players would drop out of the fight for no reason leaving us short handed. The weekend of the 14-16 Xur made caused a huge ruckus by offering the legendary weapon Gjallarhorn in exchange for 17 strange coins. This infuriated a lot of players, many of whom felt buying the rare weapon devalued the weapon and the experience of earning it “rightfully”. I was disappointed to find I only had eight strange coins in my inventory and through the weekend I only earned two more (from engrams). This weekend, however, was a different story. I logged in one day last week to find three Legendary weapons and 13 strange coins waiting in my mailbox. 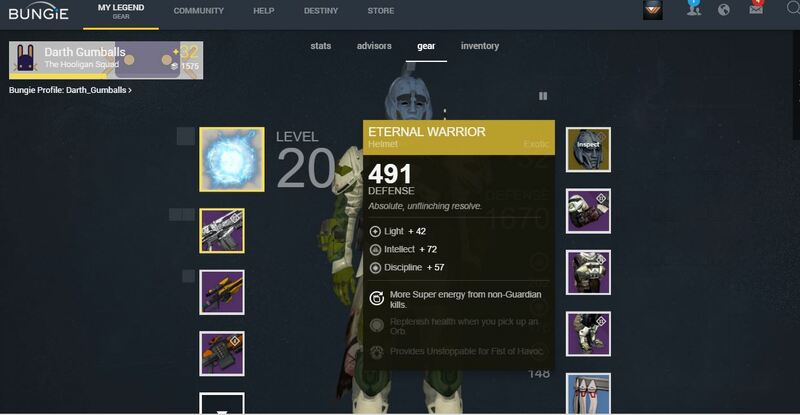 I used these strange coins to purchase my first piece of exotic gear from Xur this weekend, the Eternal Warrior helmet. This raised my light level high enough to start doing the higher level strikes. I started running The Dark Below and House of Wolves strikes which helped me get Vanguard Marks (alongside a couple lucky drops) which eventually got me to level 32. I enjoyed going the process of trying to get better gear for the first time in Destiny, however the strikes themselves didn’t impress me. All of the strikes I’ve done since purchasing the expansions have been the same strikes I’ve done before, just at a higher level. I don’t think I’ve actually seen any new content yet, which is kind of a bummer. 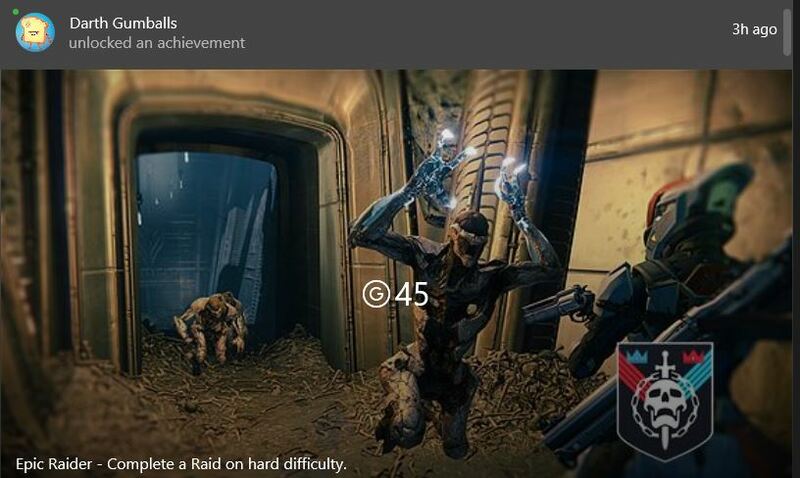 I’ve been trying to do Vault of Glass ever since I was a lowly level 24, but never could get anyone to take me along on the raid. I finally got into a group on Sunday and was excited to finally head into a raid. I was level 29 and felt like I was ready for the challenge. Most of the group was in the thirties and a few had done the raid before, so I felt like it would be pretty easy. It turns out I was wrong. We struggled right from the start, taking quite awhile to erect the spire. Eventually we made it through and onto the next challenge, the confluxes. After a short briefing from our leader (watch out for the fanatics) we dived in. This section proved to be a major roadblock. We were a man short of a six man team and could not successfully defend the confluxes, failing over and over again. No matter what strategies we tried it always ended in failure, and after a couple hours our group disbanded. Discouraged, I continued doing strikes and managed to get some better gear raising my level to 32. This morning I was browsing the Destiny forums earlier this morning and happened across a group looking for another raid member for Vault of Glass. I decided to shoot them a message and before I knew it I got an invite to their party. 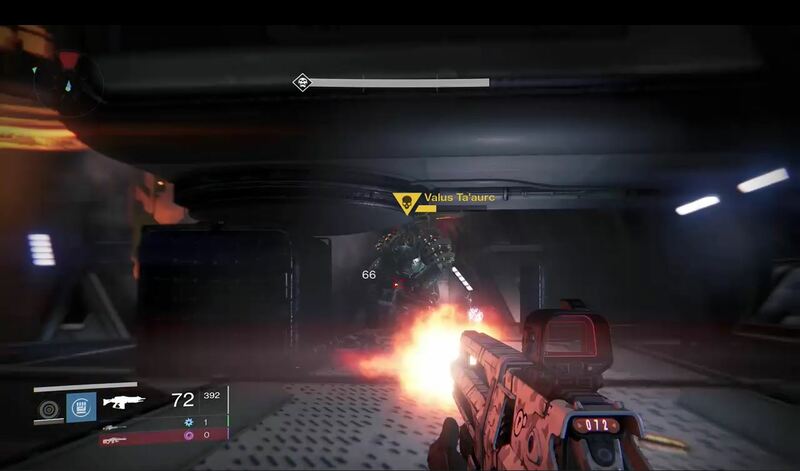 I didn’t realize they were doing the Hard mode of Vault of Glass. Oops. Worried that I would miss my chance to complete the raid, I didn’t tell them that I had never done VoG before in any form. We made it through the spire section with ease and I was feeling rather confident this run would go smoothly. The conflux section went much smoother this time, though there were some hiccups when it came to the oracle section. I had never made it this far, but did my best to figure out what was going on and I tried to follow everyone else’s lead. It took four or five tries with varying strategies, but eventually we managed to pass the oracle section as well (a man short as well). We got a sixth raid member and proceeded to the Templar battle. This also proved challenging, but we were able to finish the fight on a third try, and further into the raid we went. At this point we were a few hours into the raid and I started having thoughts about leaving the raid as I was getting tired and frustrated, but decided to press on. The group descended into the Gorgon’s Labyrinth, and this is where I finally had to admit I had no clue what I was doing. The group ran ahead and I couldn’t figure out how to get down the cliff into the labyrinth. I tried jumping several times and ended up dying four or five times. Eventually they realized I wasn’t with the group and I had to admit I had never done the raid before. It turned out they were actually really helpful, and told me I should’ve told them earlier so they could’ve explained everything. From here on out they took time to make me aware of everything that was going on which was really cool. I didn’t expect the group to take kindly to a noob joining them on a Hard mode raid. The disappearing platforms section also gave me some trouble, but they showed me how to get across using the passageway to the right and I finally made it after four or five (or six) tries. They then walked me through the cliff walk very patiently, and on we went. The gate section took some further explaining, but ended up being easier than I expected after our first wipe (where I was sent into one of the portals). This actually ended up being my favorite section of the raid as the strategy fell into place and we absolutely rocked Atheon in one try. I was excited to have finally completed my first Raid in Destiny and I was especially thrilled that the group I jumped in with was so helpful and patient with me. The sense of community I had while doing this raid was one of the best experiences I’ve ever had while playing Destiny and I can’t wait to experience more of this. After the raid the group wanted to immediately head into the Crota’s End raid, and told me I was welcome to come along (though it would probably require even more explaining), but after the three hours spent working through Vault of Glass I was a little beat. I couldn’t imagine heading into another two to three hour affair, no matter how fun it would be. I ended up looting a ship and the Praedyth’s Revenge sniper rifle which seems pretty cool. 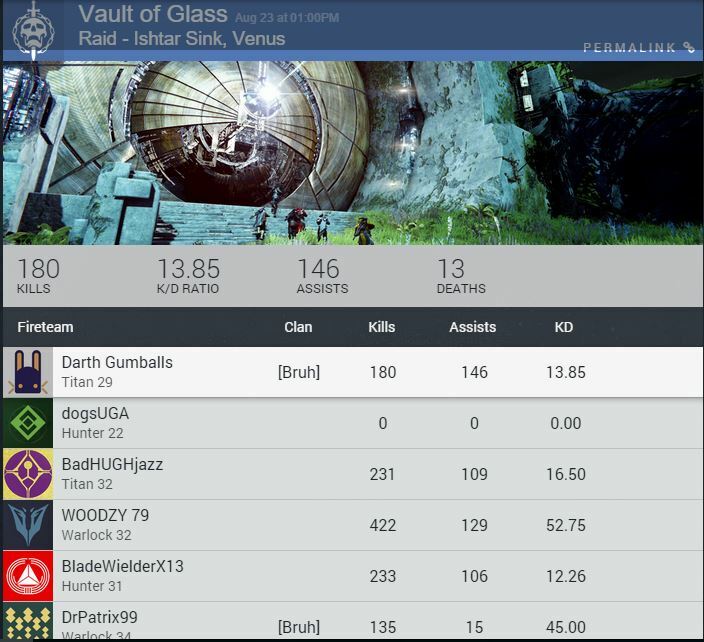 I’d like to run Vault of Glass again, but most likely on Normal next time. 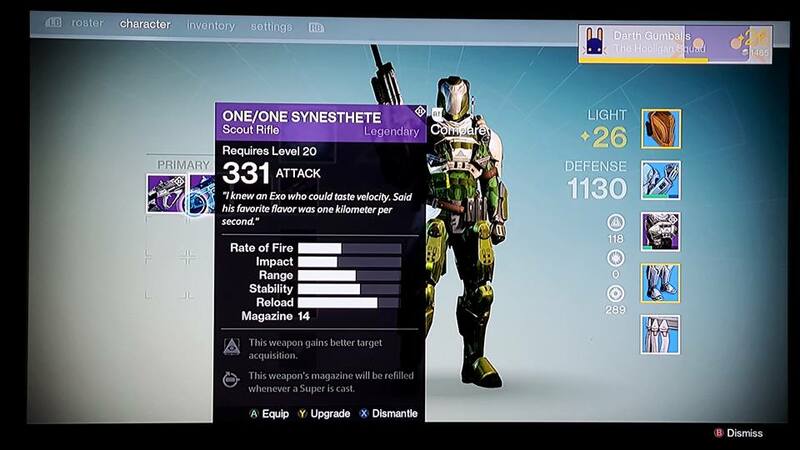 I’m not sure when I’ll be ready to head into Crota’s End. I might try to tackle it next weekend, but raiding is exhausting! This post is pretty long-winded, so I’ll wrap it up shortly. Ultimately, my opinion of Destiny has evolved quite a bit over the past two weeks. How much you enjoy Destiny really depends on how much you interact with the community. Playing endless match-made strikes in which no player EVER talks (I’ve never experienced a single strike mission where anyone said a word, and I always join the strike team channel) is no way to experience Destiny. Using the forums and groups to look for groups may be a bit of a pain, but the time invested pays off incredibly by providing a much better Destiny experience. There’s nothing quite like the experience of running a raid with five other people from around the world. I’m addicted. 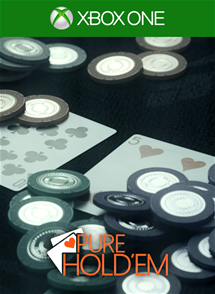 There’s finally a poker game on the Xbox One, with last week’s release of VoFoo Studio’s Pure Hold’em. The game sells for $19.99 and was developed by the studio that brought the realistic pool game, Pure Pool. 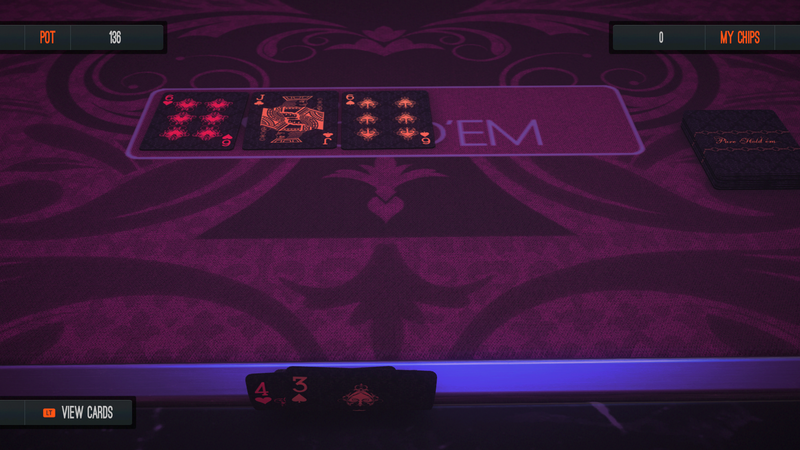 So far the game scratches the poker itch, and offers a great way to play poker from the couch. You can buy into online tables designed for varying skill levels, and there are also online tournaments, again segregated by skill level. You can play a high / low game once a day to try to bank more chips, however the game also offers in game purchases for those too impatient to try to earn a large enough stack to play with. I’ve enjoyed the game so far, however I’ve occasionally run into instances in which I can’t get into any games. I’ll receive an error saying I can’t connect to the server when trying to join open tables or tournaments, most often in the Jacks league. It seems that you receive this error when the game can’t find any games for you to join, because I’ve been able to join games at higher stakes tables without any issue. As the player base grows hopefully it’ll be easier to find games. Until then there’s an offline mode with AI bots that seem to play well enough. 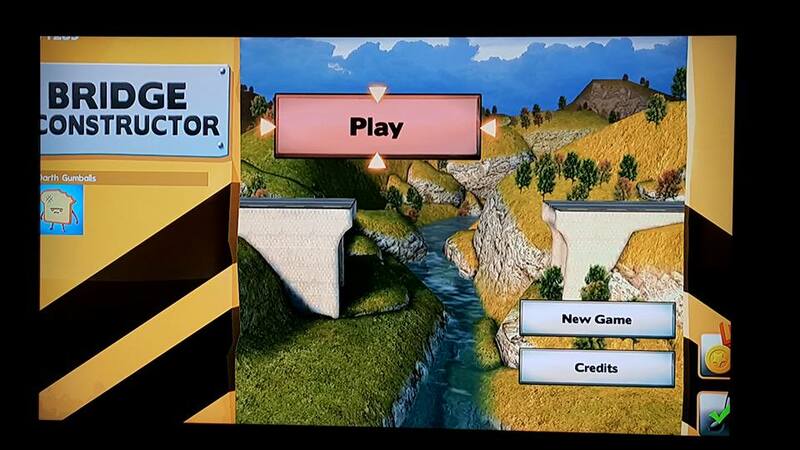 This past weekend the popular Bridge Constructor series finally arrived on consoles, with the first game in the series being released for $9.99 on the Xbox One. In the game you’re put in charge of creating bridges, which may sound easy, but there’s a catch. You have a budget for each bridge, and each construction material has a price which increases with its sturdiness. As you progress through the levels the challenges become more difficult and you really have to analyze every detail about the bridge you’re constructing. Once you think you’re done you can send cars or trucks across the bridge to see how it holds up. You complete the level by creating a bridge under budget that withstands the traffic you send across. You can earn a higher score by using less material. 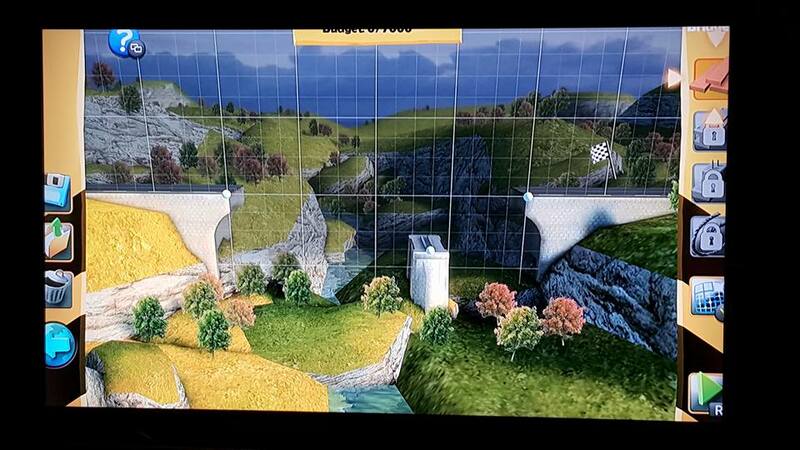 Bridge Constructor translates pretty well to the Xbox One, however this is one problem. The screen is not sized correctly by default, and there’s no in game setting to adjust it. As you can see in the image above the outer border of the screen is cut off. This would just be a minor annoyance, however once you’re in the game it cuts off your budget which is a game breaker. It’s hard to build a bridge without knowing how much of your budget remains. So how do you fix it? 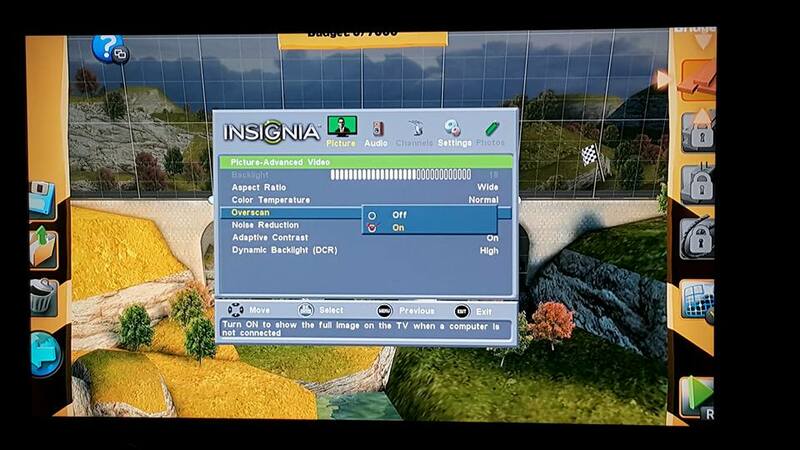 For me I was able to fix it by disabling the overscan setting on my TV’s advanced video settings. Changing the picture from ‘wide’ to ‘normal’ didn’t work for me, but if your TV has an aspect button that may end up working for you. Once I disabled overscan the game finally fit on the screen, however the colors ended up looking a little washed out. It’s a minor annoyance, and at least the game is playable, but it’s frustrating to have to re-enable the option when I’m done playing. As you can see, disabling the overscan feature allows the game to fit onto my screen, but you can see the colors look a little off. It’ll work for now, but hopefully they patch in a fix soon!